Unrivalled market experience made former Ford franchise manager Andy Meaden the ideal cadidate to manage Hendy Group's Kia and Suzuki operations, the business said. 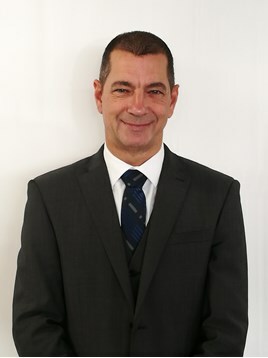 Meaden (pictured) joined the motor industry as a sales executive in 1986, aged 18, and progressed to sales manager in 1994 before working with a range of franchises in general sales manager, group sales manager, group franchise sales manager, general manager and regional general manager roles in the UK and overseas. Commercial director Mark Busby said Meaden’s experience as Hendy’s Ford franchise manager puts him in an “unrivalled position” to look after Kia and Suzuki. “These are both expanding brands for us as a group and we are delighted that Andy will be overseeing development at dealerships across the south coast,” said Busby. His appointment comes at a time of investment and expansion for Hendy which is set to launch three new dealerships in Hampshire, including a new Kia dealership in Eastleigh. Hendy has also just opened new Suzuki facilities in Crawley and recently opened a new flagship Kia dealership in Portsmouth. Meaden said: “I thoroughly enjoyed my previous role with the company, looking after Hendy Ford - and this experience will stand me in very good stead for my new position here.